See ACTIONABLE INTELLIGENCE Report, Sept. 2017 — Is HP up to Its Same Old Firmware Tricks? 1) Upon installation of a refilled HP 934, 934XL, 935 & 935XL ink cartridge you will observe various ‘Used‘, ‘Counterfeit‘ & ‘Non-HP‘ alert messages. 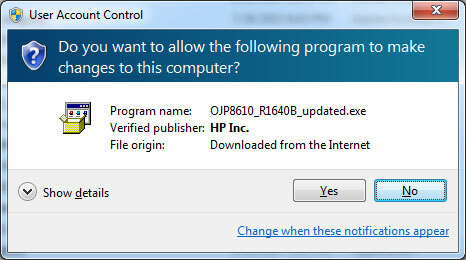 Choose ‘Yes’, ‘Continue’ and/or ‘OK’ to bypass the various nuisance alerts. This will enable normal print operations. 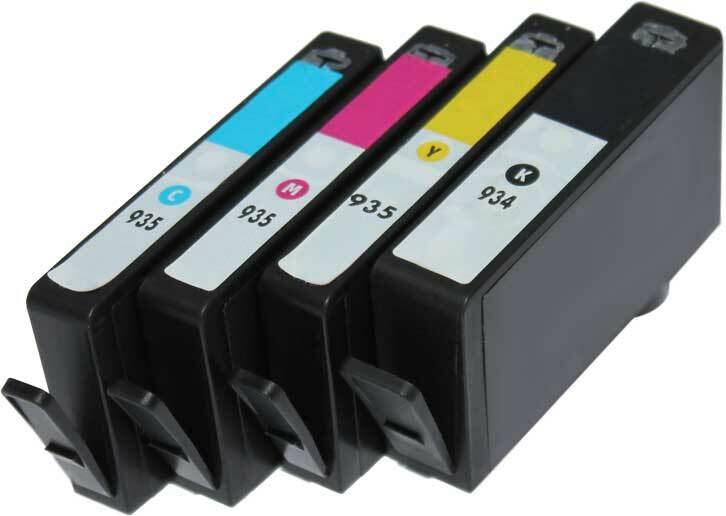 NOTE: “Used“, “Counterfeit”, “Refilled“ and “Non-HP / Non-Genuine Cartridge” alerts are COMPLETELY NORMAL for all HP 934, 934XL, 935 & 935XL black and color ink cartridges which have been refilled and are initially installed into the printer. These nuisance messages may be bypassed and normal printing will be available. 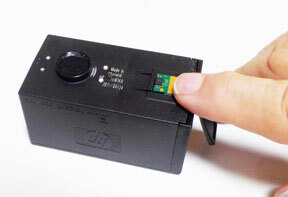 Since new replacement chips were installed, ink level monitoring will be available. 2) Since the HP 934, 934XL, 935 & 935XL cartridges have new replacement chips installed, ink level monitoring will be available. NOTE: Upon refilled cartridge installation the printer may show a “Low Ink” alert message one time, simply select ‘OK’ to proceed. 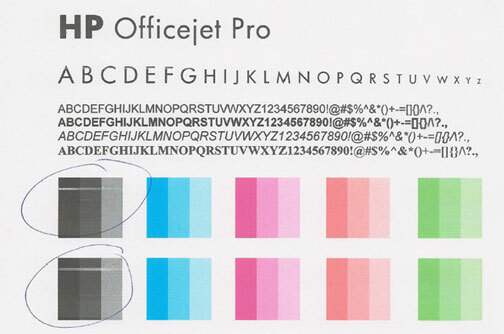 3) During normal printing you will observe two levels of ink low warning messages – this is normal. If the printer cannot recognize the ink cartridge (i.e. 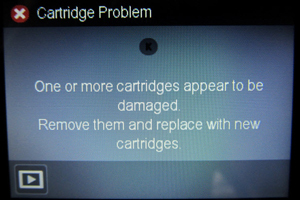 “Cartridge Error”, “Missing or Damaged”, “Unrecognized Cartridge”, etc. ), then first re-seat the ink cartridge(s) in the carriage. 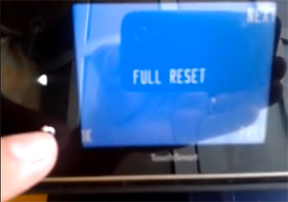 Next, check the printer firmware version to ensure you have the latest version loaded (1739A). Click on the following link. Simply input your HP OfficeJet printer model (‘HP OfficeJet Pro 6830’), select the Firmware dropdown tab, and click Download to begin the firmware download. Refer to complete printer upgrade steps down below. After the .exe or .dmg file is downloaded, double-click on the .exe file (Windows systems) to execute the printer firmware upgrade (click ‘Yes’, ‘Update’, and follow the instructions). For MAC’s, simply drag the .dmg file to the applications folder to launch the firmware updater. Once the printer upgrade is complete (takes ~4 minutes), this should allow you to continue using refilled ink cartridges. 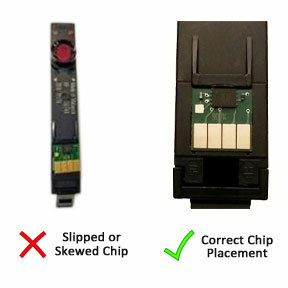 If an ink cartridge error continues to be displayed then remove the suspect cartridge and carefully inspect the smart chip on the bottom – refer to video. 6) If a detection issue continues, return to ink refill lab and request to have the cartridge/chip evaluated. 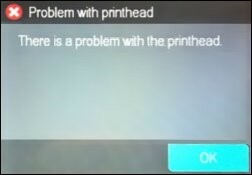 For HP 934, 935 ink-series printer error messages “Printhead Failure, “Problem with printhead“, “Ink System Failure” or “0xc19a0020” this typically indicates there is an electrical problem with the internal PRINTHEAD or with PRINTHEAD connectivity (i.e. 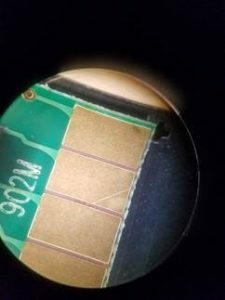 there is an alignment problem with the internal PRINTHEAD, it may have ingested air from one of the ink cartridges or it has electrically failed) but it could also be caused by a simple mis-alignment (skew) of a cartridge’s smart chip. 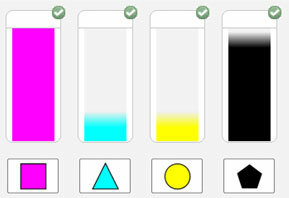 An “Incompatible Printhead” or “Alignment Failed” error message is NOT an ink cartridge error, but instead a possible failure of the PRINTHEAD assembly used for firing all four colors onto the paper. Click here for recovery suggestions. 5) If missing colors or severe/poor print quality continues to be observed following a 72 hour wait period (i.e. allows enough time for ink to fully absorb into cartridge foam), then flush the Printhead. 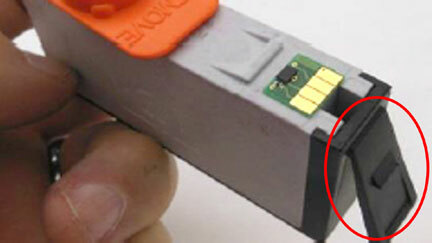 Check your printer’s User Manual to see if your printhead can be easily removed. For refilled HP 934, 934XL, 935 & 935XL cartridges which are not in use, ensure the orange protective cap is securely attached to bottom of cartridge (covers ink spout) to prevent cartridge from drying out. CAUTION: If the internal foam is allowed to dry out then cartridge recovery may be difficult and possibly unusable. While it is normally suggested to use tank-based cartridges 1 year from the refill date, it is recommended to use refilled HP 934 & 935 ink cartridges within 90 days to avoid print quality issues due to the type of foam inside the cartridge. 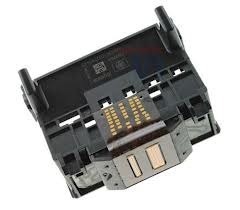 NOTE: A compatible/clone ink cartridge can be problematic; the embedded smart chip may not provide reliable printer-cartridge connectivity once installed. 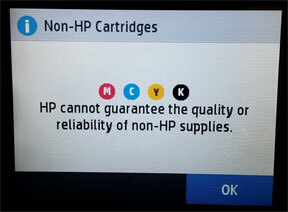 Compatible/clone cartridges are typically purchased on-line or at select retailers (i.e sold under a different label than the regular HP cartridge packaging) and is essentially a “clone” of the original/genuine ink cartridge (if cartridge is original/genuine then the HP trademark logo will be displayed on the side and/or top labels of the ink cartridge). For the best refilling experience, only use HP original/genuine ink tanks. Most ink refillers will NOT refill non-genuine HP 934, 935, 934XL, 935XL ink cartridges.